Tired of not knowing who’s showing up at your front door? Want to be able to communicate with people showing up? 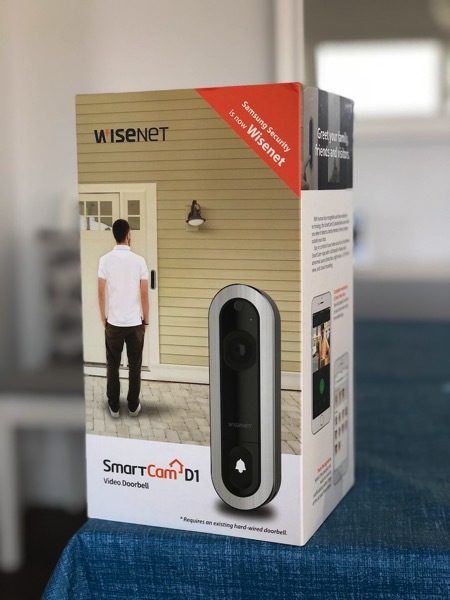 Now you can, if you are the lucky recipient of the Wisenet-SmartCam D1 ($299 CAD value), which has face recognition alerts and debuted last September. On top of face recognition, the SmartCam D1 also has abnormal sound detection (sirens, screaming, glass breaking), two-way talk, 2D/3D noise reduction in low light conditions, 1080p full HD streaming, 150-degree field of view and dual Wi-Fi bands. The smart doorbell is installed through a hardwire connection to your existing doorbell and comes with a mobile app to control settings. 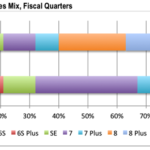 Recordings can be stored to the Hanwha Techwin (formerly Samsung Techwin America) SmartCloud service for a monthly fee. 1. Leave a comment below stating why you want to win this video doorbell. 2. Contest period runs from April 23, 2018 to April 30, 2018 at 11:59PM PDT. Winner will be chosen at random and announced shortly after. All winners must have a Canadian mailing address and entries are limited to one per household. Good luck! Update May 2, 2018: The winner of the contest has been announced–congrats to Sally Jones (check your email)! Thanks everyone for entering. A new contest is coming up next.